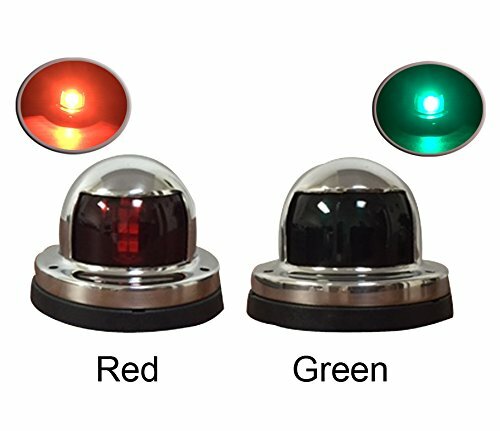 This is a set of red and green LED navigation bow lights. The housing is made of stainless steel, and the base is made of plastic. This has round shape which is perfect for marine navigation light. Material: Stainless Steel (Housing) Plastic (Base). Housing Color: Silver (Stainless Steel). LED Color: Red & Green. Working Voltage: 12 V. *Package included both red&green light *Mounting hardware is not included. Dimension: 2" X 2 1/2" X 2 1/2". Item: PG090700 + PG090800. View More In Water Sports Accessories. If you have any questions about this product by Pactrade Marine, contact us by completing and submitting the form below. If you are looking for a specif part number, please include it with your message.